Jack's Opinion: Is Apple changing the connector on their iPhone? 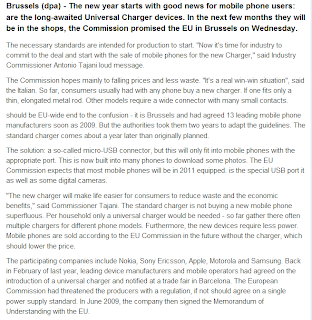 Brussels - The EU Commission did promise that beginning of 2011 all mobile phone will have same connector for chargers. At the moment each mobile phone has different connectors for chargers and when we buy a new phone we get a new charger. Some families have 4 different mobile phones and 4 different chargers. Starting in January most of the new phones will have an universal connector for chargers. The connector will be a micro USB connector which a lot of phones already have. 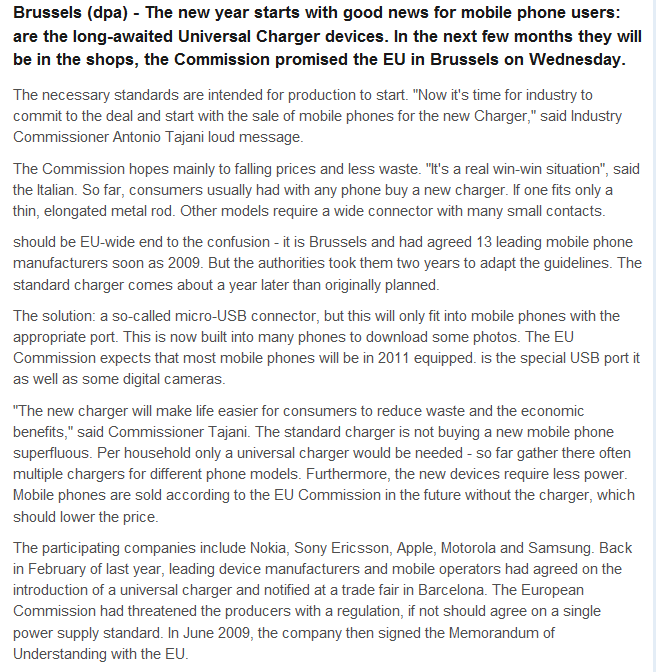 Interesting is that Nokia, Sony Ericsson, Apple, Motorola and Samsung signed the EUC proposed standard. As we know Apple has their own 30 pin connector which is far from a Micro USB connector. Either Apple needs to build a new type of iPhone for Europe or has to ship the iPhone with a separate cable which gets connected to the iPhone and has at the other end a micro USB connector. Right now the iPhone has a cable which ends into a male USB 2 connector and can be plugged into an Apple charger. However that this cable works it would need to have a female micro USB at one side. I don't think Apple goes away from their 30 pin connector, however i can see they will change their wall charger or the cable which will go into the wall charger.